One of the luxuries/drawbacks of being a quazi-illegal immigrant with a UK and USA passport living in Chile is that you must collect another tourist visa every 90 days. Combine this obligatory task with a love for adventure and mayhem and you have one happy Luke. My method of travel is to arbitrarily elect a “must do in my life” goal, then make absolutely zero effort with regards to planning or preparing for that goal irrelevant of it’s very possible dangers and pitfalls, and then head off in what I believe to be the right direction. Well a few weeks ago I decided to renew the visa and complete a “must do in my life goal” of climbing a 6,000+ meter mountain (roughly 20,000 feet) in the very beautiful and challenging Bolivian mountains. 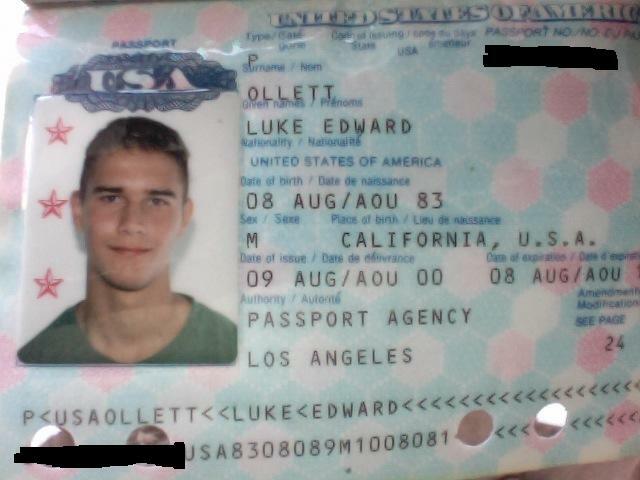 planned to England and with only a few weeks to go I noticed that my previous passport had expired. At that time, there was no expedited passport process so we immediately did the next best thing and lied. We had my Grandfather write a very formal letter saying that his wife, my Grandmother, was doing very poorly and it was imperative that I was present at her side during her final days. It worked. There after this passport served me extremely well and saw many an airport. I even had to have 25 pages added to it to accomodate more stamps. Well in August of 2010, it expires so I thought I would give my passport Justice and try and recount some of the memories that spring to mind while gazing through some of the stamps and visas.